If automating your home and increasing home security with the latest technology piques your interest, you will definitely want to check out these nine high-tech home gadgets that allow you to monitor your home while you are away, make household chores easier and even let you kick back with a glass of iced tea while a robot mows your lawn. They also happen to make great gifts if you are in search of something unique to give your family members, friends or co-workers for the holidays or a special occasion. The battery-powered LawnBott is a dream gift for homeowners with natural grass lawns but little time to care for them. 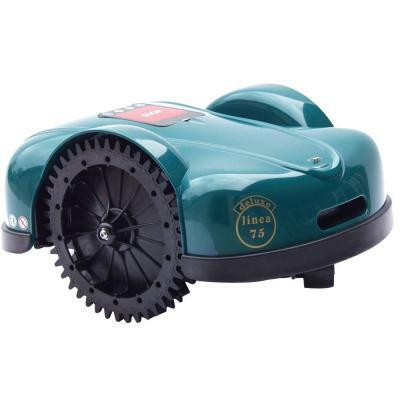 We all know the time and money it takes to keep a natural lawn looking its best throughout the year, but you can cut down on one lawn care-related task by including this self-propelled, automatically recharging robotic mower. Signal technology keeps your automatic mower from straying from your yard, a rain sensor sends it back to its docking station if inclement weather arrives, and a PIN code and GPS tracking system limit who can control your new toy. You can even schedule multiple mowings per week, and your LawnBott will leave the dock, mow your lawn, return home and recharge without any further effort on your part. Available from Home Depot for $1,799.00 (at the time of this writing), the LawnBott is not cheap, but it will save you some time when it comes to caring for your lawn. While the WINBOT is not quite as automatic as the LawnBott, it can make window washing a simpler, safer chore by allowing you to simply turn it on, put it on a window and press start. After those three easy steps, you can sit back and watch it wash each window before transferring it to the next pane, or you can work on other chores in between. It works on both framed and frameless windows, and you can even use it on your glass shower door and mirrors. This might be particularly helpful for homeowners with tall windows or physical challenges that make it difficult to clean windows the old fashioned way. 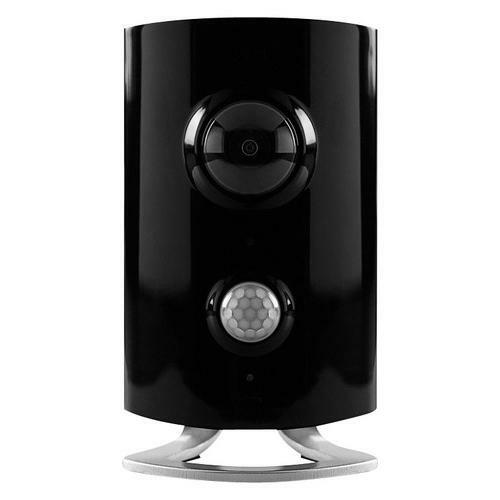 The WINBOT can be purchased at some home improvement stores and online for between $300 and $400. Every home in California is required to have both smoke alarms and carbon monoxide alarms, so why not combine the two and purchase a single, sleek unit that provides these functions and more? The Nest Protect is just $99.00 per alarm, which is not bad when you consider how significantly it can impact your family’s safety. 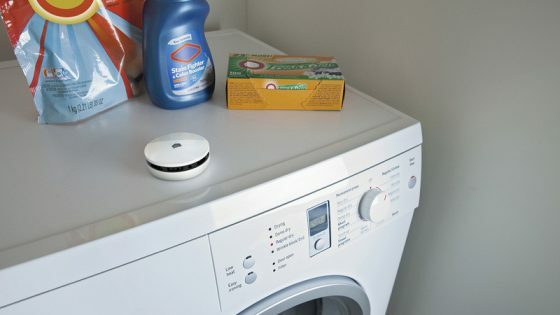 Not only does it provide the detection and notification features of conventional smoke and carbon monoxide alarms, it also has a heads-up warning system to let you know when even small amounts of smoke are detected – like if your kids are trying to cook dinner and something is burning. There also is a synchronization feature that makes all of the Nest Protects in your home sound the alarm if any one of them senses smoke or carbon monoxide, which means the alarm in the master bedroom will sound if smoke is detected in the nursery. If you have little ones that are sound sleepers and are not easily woken by alarms, there is even a voice alarm feature to alert them of danger. To top it off, these WiFi enabled alarms will even send an alert to your smart phone if something is awry, which means you will be immediately notified if there is a problem at home, even when you are at work or running errands. And if all of that is not enough, there is even a handy path light feature that automatically illuminates when you walk under the alarms at night. For less than $50.00, you can increase your home’s security with this WiFi enabled light switch that allows you to turn the light on and off when you are away from home. Using your smartphone as a remote control, you can schedule the light to come on at a certain time or simply turn the light on and off at will to make it look like you are at home. It is also pretty handy for folks who always have their smartphone with them and do not always want to get up from the sofa to flip the switch on or off. 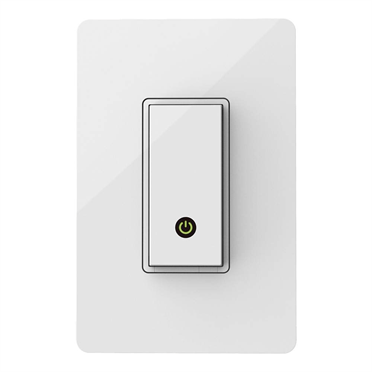 Similar to the WeMo Light Switch listed above, this high-tech home gadget comes in at around $50.00 and allows you to control electronics or appliances remotely using your Apple or Android device. This one comes in handy for turning lamps or televisions on and off to ward off burglars, but it is also useful for saving energy. The WeMo Insight Switch includes customized notifications to keep you abreast of your home’s energy consumption and allows you to do things like turn on your space heater or fan when you are driving home from work so that your home is a comfy temperature when you arrive (without leaving the heater or fan on all day). 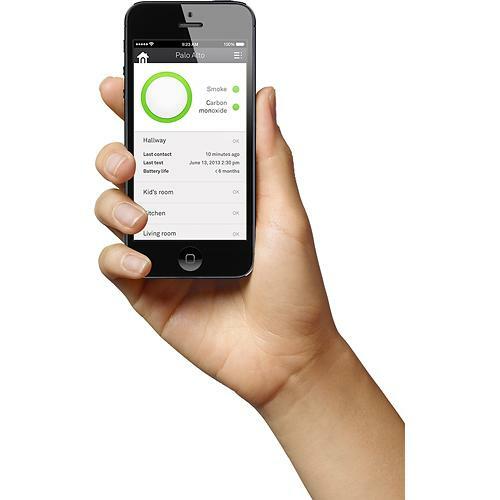 You can also create custom schedules for each of your WeMo Insight Switches to automate your home further. 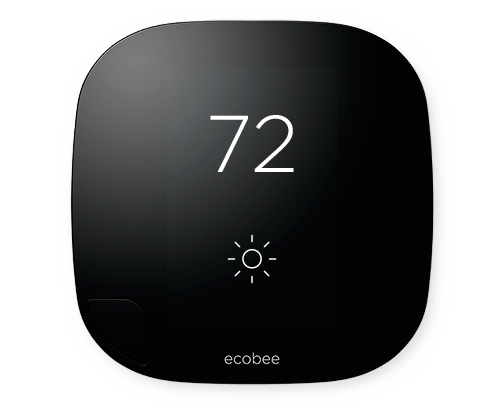 The ecobee3 Smart WiFi Thermostat with Remote Room Sensor is the perfect gift for a homeowner that loves high-tech gadgets and wants to lower their carbon footprint. This modern thermostat allows you to do much more than simply turn up the heat and can help you conserve energy and save money while keeping your home cozy throughout the year. Complex algorithms that take into account your home’s energy profile, the outside temperature and whether or not you are home are used to keep your home comfy, while also reducing your home’s energy use. It can even tell if you are home or if the house is unoccupied by using wireless sensors and, of course, you do not have to be home to control the temperature or change your personalized climate control schedule. The WiFi connectivity allows you to monitor or change the schedule or settings from a compatible smartphone, tablet or computer while you are away from home. To make you love your eco-friendly thermostat even more, it also gives you a five-day local forecast to help you plan your outfits for the week. House keys are so last decade. Homeowners who love high-tech gadgetry are moving towards keyless entry systems of various styles, such as this eKey system that allows you to unlock the deadbolt by simply touching it. All you have to do is download the app to your compatible, blue-tooth enabled device, set up the lock to recognize your device and start enjoying a little key-free living. To make life even easier, there is also a Kevo fob that allows you to touch the lock to unlock it without having your device around. The even cooler part is that you can check the status of the lock on the app while you are out, which means you can simply check your phone if you want to make sure junior remembered to lock the door when he left for soccer practice. The Kwikset Kevo comes with two eKeys, which makes it perfect for a couple, but additional eKeys can be purchased in the app. This means that you can give house keys to friends, guests or your kids without having to run to the hardware store to have keys made. This also means that you can quickly give your trusted neighbor or friend a key to your house if you are away and there is an emergency – like if you think you forgot to turn the iron off when you left for vacation. This high-tech gadget for homes will cost you a little over $200.00, but the convenience of not carrying a key and the ability to make sure you remembered to lock your front door as you are boarding a plane just might be worth it. 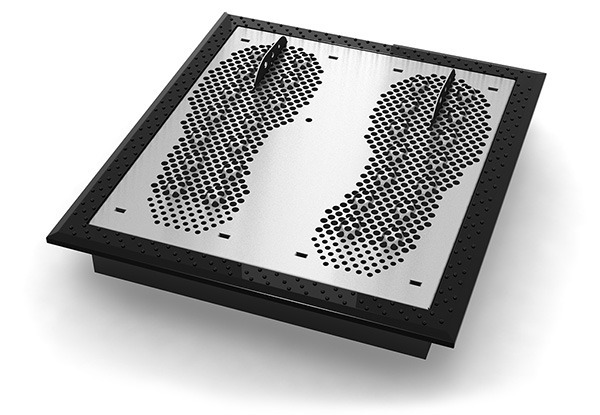 The HealthySole unit uses UVC technology to kill the germs you would otherwise track into your home on the soles of your shoes. Because it is a green technology that does not use harsh chemicals to kill the germs, it can safely reduce the amount of germs that enter your home on shoes by as much as 99%. You simply keep the unit by your door and step on it for eight seconds each time you come home. Since the soles of your shoes are home to way more bacteria than a public toilet seat, this might not be such a bad idea. Without somehow disinfecting the soles of your family’s shoes, you are currently allowing millions of units of bacteria to enter your home and be distributed on your floor and other surfaces. Considering how much time young children spend on the floor, it is probably a good idea to take some sort of step towards limiting the pathogens that enter your home. HealthySole is one way to accomplish this for a one-time payment of $269.00. This handy device is a multipurpose sensor that is great for homeowners in general, but particularly helpful for homeowners who also happen to be parents. This handy, battery-powered gadget is just $60.00 and will likely help you get a better night’s sleep, particularly if your little ones are really little. You can attach this sensor to your baby’s crib to detect vibration and alert you when your baby is moving around, or you can set it up to monitor the temperature in your children’s bedrooms to make sure it is not too hot or cold while they are sleeping. In all, it can detect motion, vibration, light and temperature, which makes it handy for all sorts of applications in your home. And, of course, you can monitor it all when at work or play with alerts sent directly to your smartphone. Piper is the perfect gadget for homeowners who want to increase their home security efforts and automate their home. This well-rounded device starts at $199.00, and there are no setup fees or monthly fees. This means that once you purchase your Piper and go through the simple setup steps, you are good to go. Piper offers lots of features, which means it is good for lots of uses, but here are a few examples of what it can do and how it can make your life easier. Its two-way audio feature allows you to check in on your live-in mother-in-law when you run out to the grocery store or to yell at your dog to stop chewing your favorite slippers. And you will know that he is chewing your favorite slippers because of the 180-degree live video feature that allows you to keep up with what is going on in your house while you are away. Of course, the video feature also allows you to see intruders, check on your kids or make sure your housekeeper is not stealing your silverware. It can also alert you when doors are opened and can send you captured video of who entered your home. 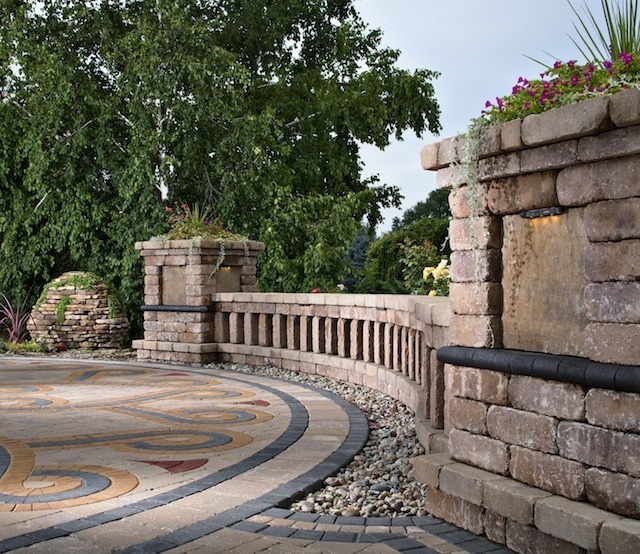 To create a full security system, you can connect up to five Pipers placed throughout your home. You can also monitor your home’s vitals, such as the temperature or sound level, and automate lights and outlets to control lights and appliances when you are away. Have you automated your home or increased home security with technology? If so, let us know your favorite high-tech gadgets! All prices are current at the time of this writing and are subject to change.